LG before the start of Mobile World Congress 2012 has recently unveiled a very interesting Smartphone recently. The device named as LG Optimus 4X HD has amazing 3D capabilities. Officially to be released at MWC 2012, it runs on Cream Sandwich 4.0 and is powered by a quad-core Nvidia Tegra 3 1.5GHz processor. It is one of the smart phones in series that have a quad-core processor. This quad-core Tegra 3 CPU is provided with a fifth core called Companion Core. The Companion Core is enabled with facilities like music playback, email and SMS messages, and others. The rest four cores adjust multitasking, HD video playback, gaming, and other apps or tasks that requires more than sufficient processing power. 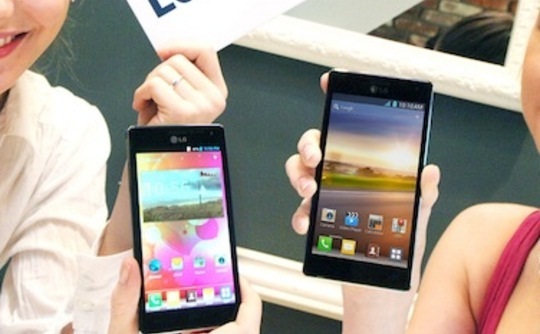 The LG Optimus 4X HD is set to be released in second quarter in 2012 and in rest markets after that. Its other impressive features include 4.7-inch True HD IPS touchscreen with a resolution of 1280 x 720, 16GB internal memory, 1GB RAM, 8-megapixel camera on the back with autofocus, LED flash, and 1080p HD video recording, 1.3-megapixel camera on the back, MHL, DLNA streaming, Bluetooth, WiFi, GPS, gyroscope, and a 2,150mAh battery.